La Esquina, which means The Corner, is nestled exactly as such at the SE point of Petrosino Square where Lafayette meets Kenmare. And while it’s known for its hard-to-get-into grotto restaurant hidden beyond the “employees only” door, down the stairs and through the kitchen, you can also order their delicious Mexican food at the 24-hour taco stand or at the sidewalk cafe. It’s been awhile since I was last there, so I was pleasantly surprised to find when I ate there this week that the difficult reservation policy is still warranted. It was a hot summer evening so the waiter convinced me that the Michelada would be refreshing cocktail choice. 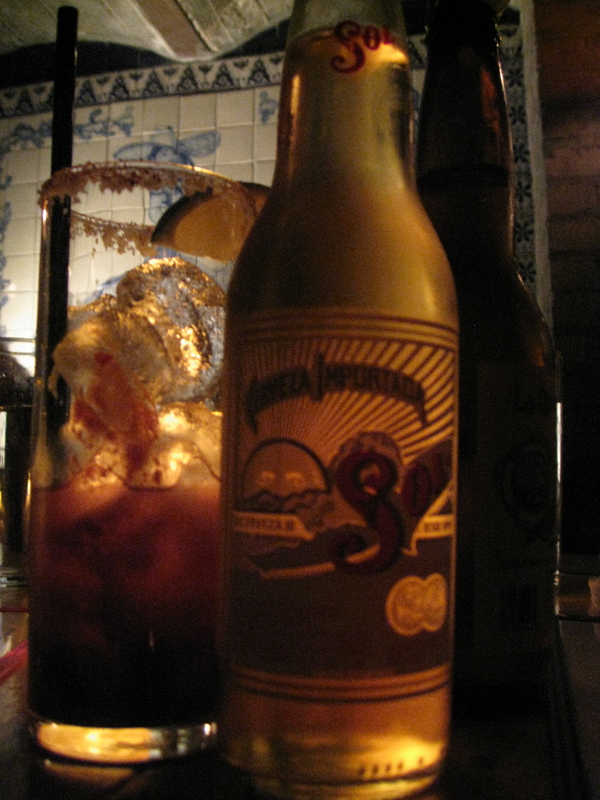 The classic Mexican beer cocktail is mixed with a housemaid chipotle puree, fresh lime and served with a salted rim. It was slightly reminiscent of a bloody mary, but not as thick or filling and was indeed refreshing. Since there was a group of us we ordered a number of things from the small plates menu to share and there were definitely a few standout favorites that were not just tacos. 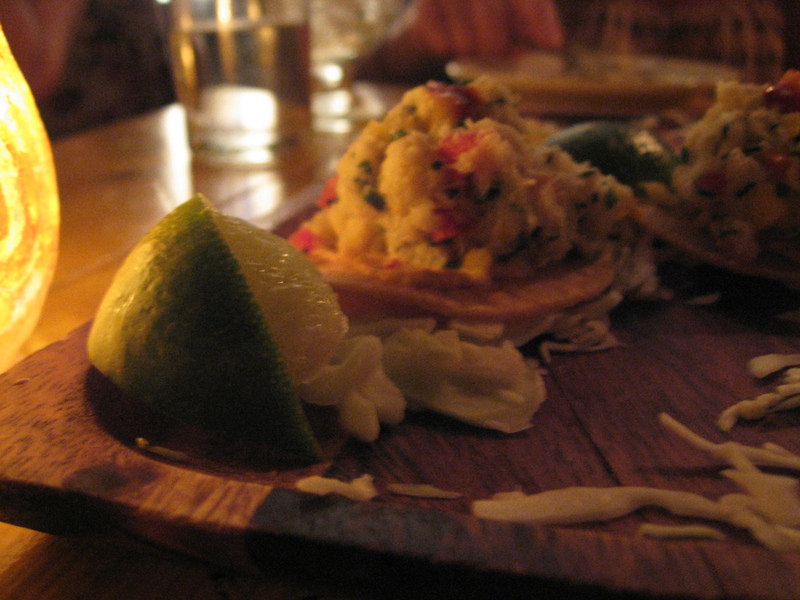 The Cangrejo Tostada, which featured lump crabmeat, mango and chipotle mayo on a silver dollar-sized crispy tortilla was uniquely light and sweet for typical mexican food. The Quesadilla de Huitlachoche sandwiched mexican “truffle,” roasted corn, mushrooms and queso oaxaca between two warm tortillas and was deliciously earthy and full of flavor. But above all, and proving why La Esquina successfully sells tacos three ways out of the same building, the Bistec Taquitos were a home run with grilled steak, charred onions and salsa roja generously filling a small 4-inch tortilla. We loved the tacos so much, we ordered four different kinds and a second round.